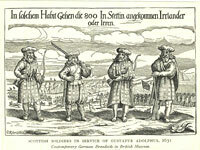 Highland mercenaries in the service of King Gustavus Adolphus of Sweden during the 30 years war. 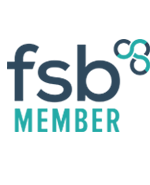 by Brian Wilton, Director, Scottish Tartans Authority. Copyright © 2012 Scots Connection Kiltmakers, Huntly. 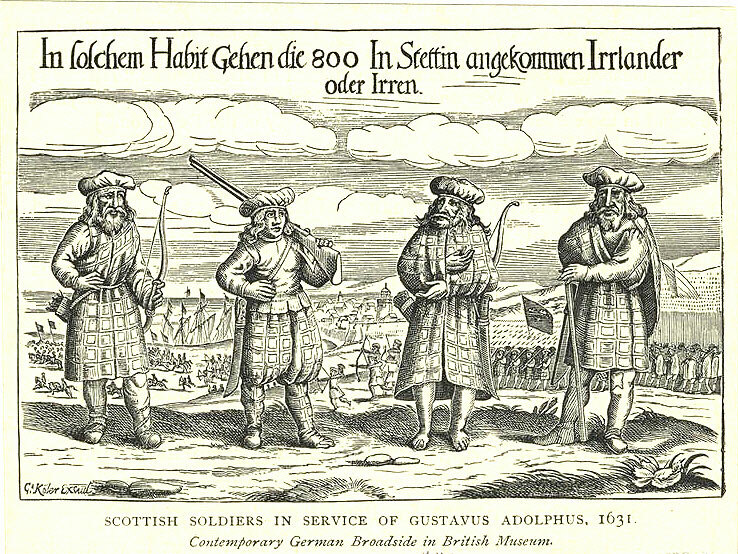 From the language one can guess that we’re not talking about our ambassadorial Tartan Army on its way to a European football fixture but of earlier times - 1747 to be exact and the comments refer to that quintessential forerunner of today’s kilt - the Féileadh mór . . . the philamhor . . .the great kilt . .. the Scottish garment seen in drawings and portraits of chiefs and clansmen, of statesmen and soldiers over a period of at least a couple of centuries. Made of up to 11 metres (12 yards) of single width cloth, cut in half and then sewn down the long edge, the ubiquitous great plaid was worn with - and then replaced - the traditional saffron robes of the 15th and 16th centuries - the wealthier inhabitants of the Highlands being the first to convert to tartan. Single width cloth (70cm / 27.5 inches) was the norm at that time and reflected the limits of the hand-weaver’s reach when throwing the shuttle from side to side. Over the decades many thousands of tourists have applauded the demonstrations of just how the Highlander donned his philamhor: first laying his broad leather belt on the ground and then covering it with his plaid and carefully pleating the lower end of it. Then lying face upwards on it so that the bottom edge reached between the middle of his thighs and his knees. Then he would pull the flat bits of the plaid around his waist forming a kind of skirt and fasten the belt to hold it all in place. When he stood up, the bottom part of the plaid would look almost like today's kilt and the spare material would hang from his waist down to the ground. Then he would gather up the spare material, bunch it around his waist and hang the surplus over his shoulder. To keep it in place he would fix it to his shirt or jacket with a large silver bodkin ( a kind of pin) or a round brooch often decorated with precious stones. As a piece of heritage theatre this goes down very well but as a slice of historical fact, it leaves more than a little to be desired! Finding such floor space in a tiny croft (one end of which was often inhabited by animals) would be nigh impossible, as would popping outside to lay on the ground amongst the mud, chicken droppings and other domestic detritus. If circumstances dictated a hasty exit (approaching redcoats or rent-seeking landlord) then any such dressing routine would have been unthinkable.